A father demands justice for his daughter's death. 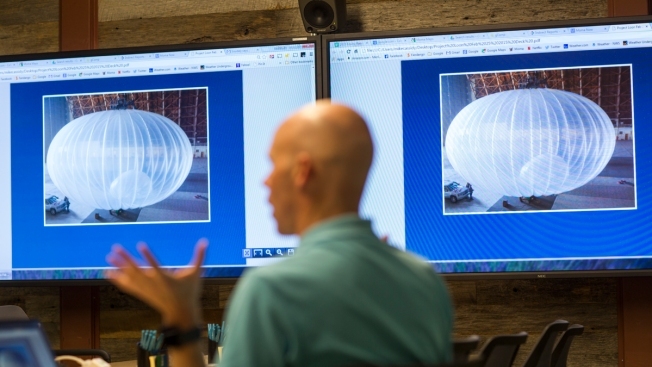 Mike Cassidy, Vice President & Project Leader of Project Loon at Google, inside the secretive Google X research lab in Mountain View, California. Google's parent Alphabet Inc. said Friday that its stratospheric balloons are now delivering the internet to remote areas of Puerto Rico where cellphone towers were knocked out by Hurricane Maria. Two of the search giant's "Project Loon" balloons are already over the country enabling texts, emails and basic web access to AT&T customers with handsets that use its 4G LTE network. The balloons — called HBAL199 and HBAL237 — are more than 60,000 feet (18,000 meters) above land, according to FlightRadar24.com . They navigate using an algorithm that puts them in the best position to deliver signal by rising and falling to ride wind currents. They are also solar-powered and only provide signal during the day. Several more balloons are on their way from Nevada, and Alphabet has been authorized by the Federal Communications Commission to send up to 30 balloons to serve the hard-hit area, according to Libby Leahy, spokeswoman for Alphabet's X, its division for futuristic technologies. President Donald Trump is giving himself a "10" for the hurricane response in Puerto Rico while meeting Thursday with Puerto Rico Gov. Ricardo Rossello at the White House. Project Loon head Alastair Westgarth said in a blog post that Project Loon is "still an experimental technology and we're not quite sure how well it will work," though it has been tested since last year in Peru following flooding there. Hurricane Maria devastated the U.S. territory of 3.4 million people since making landfall last month. Gov. 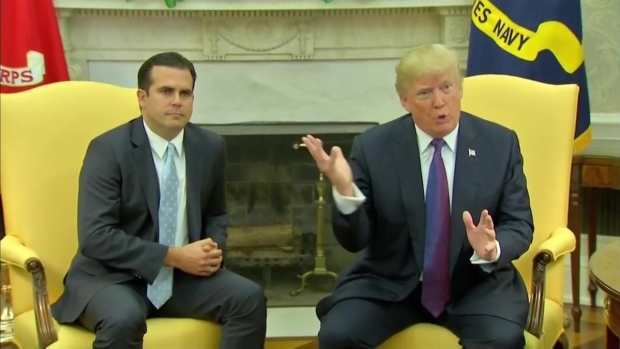 Ricardo Rossello said Friday the death toll had risen to 49. Less than a fifth of the island has electricity, half its cellphone towers are still not functioning, schools are closed and more than 4,000 are in shelters, according to a government website . AT&T spokesman Jeffrey Kobs said the company has set up 14 temporary cell sites, and as of Friday more than 60 percent of the population was connected via mobile network, in part due to the help of humanitarian and government groups and Project Loon. Other technology companies such as Cisco, Facebook and Tesla have also pledged help or have sent teams to the island to improve communications and restore power.